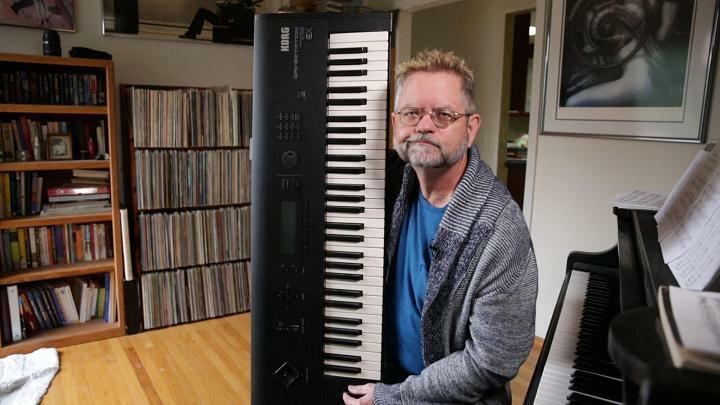 In the late 1980s Jim Reekes began working as a sound designer for Apple, creating some of the Mac's most iconic sounds like the "Sosumi" beep, startup chord, and camera/screenshot click. In a new interview with CNBC, Reekes discussed the origins behind each of these sound creations, and what he thinks about the current audio design of Apple devices. Reekes has touched upon these topics before, but they remain interesting for anyone who might not have heard about this part of Apple's history. Reekes explained that the reason for the name "Sosumi" began with a lawsuit from The Beatles' record label, also named Apple. At the time, Steve Jobs promised that his company would stay focused on computers and not get involved with music, so that the two similarly named companies could coexist. After Macs added support for audio recording and MIDI (a standard that connects musical instruments to computers), The Beatles sued and forced Reekes to rename any sound effect that had a "musical-sounding name." Reekes' frustration with the lawsuit eventually led him to the name "Sosumi," because it sounded like "so sue me." 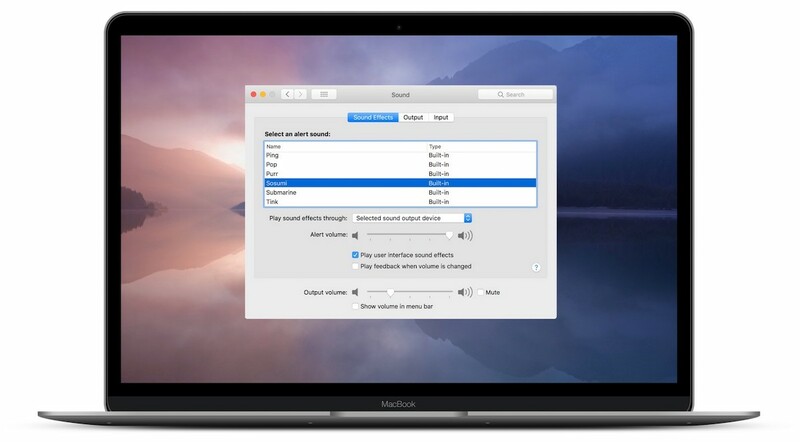 Today, Sosumi is still available as an alert sound in the Mac System Preferences. One of his beeps, originally called "Xylophone," needed a new name. "I actually said I'm gonna call it 'let it beep' and of course you can't do anything like that, but I thought yeah, 'so sue me.' And then I thought that's actually the right name," Reekes said. "I'll just have to spell it funny, so I spelled it Sosumi." He told the lawyers it was a Japanese word that didn't mean anything musical. "That's how that Sosumi beep came around," Reekes explained. "It was really me making fun of lawyers." Reekes also looked back on the Mac's original startup tone, which annoyed him "immensely" because the Mac crashed so many times that it was easy to equate the tone with a frustrating situation. Although he didn't have permission to change it, he recorded a new c-major chord in his living room and used The Beatles song "A Day in the Life" as inspiration. Eventually, Reekes managed to sneak the sound into the original Macintosh Quadra computer. Some engineers at Apple were not happy with the change. "Our excuse was it's too risky to take it back out at this point because something could crash," he said. "We just made up some bulls---." It stuck, and years later Apple even trademarked the start-up sound. It's one of the few sounds that's trademarked, along with the NBC chimes and the Intel signature sound. "Kind of silly right?" Reekes smirked. "I'm playing a c-major chord and it's famous and it's a copyright." On the topic of startup sounds, Reekes voiced his disappointment in the lack of any startup chimes on most Macs today, and gave his opinion on the company's current overall sound design. "I haven't really seen much interesting audio coming out of Apple for a while," he said. Reekes left Apple in the late 1990s and is now a consultant and "out of the sound design business." There are plenty of other tidbits from Apple's sound design history in the interview, including the origins of the camera click heard on Mac screenshots and in the iPhone's camera app, taken from Reekes' old 1970s Canon AE-1. To read more from the interview, visit CNBC's website. Interesting article. As strange as it sounds, The Mac start up tone makes me think of Jobs days and its a classic tone of where the Mac was during Apples early years. The problem I have with Apple now is their products lack heart. The little tiny details (like the startup sound) were what Steve obsessed over and gave the products personality. The exclusion of the startup chime in new Macs took them from a part of your life to a machine you use when you need it. Bring back the heart, Apple. Make the machines mean something to people. I guess my early Macs rarely crashed, because I only recall hearing that crash sound once. But principally I wished to chime in with an explicit thank you to Jim Reekes. His inspiration and work have added immeasurably to my experience with Apple products. Definitely, thank you. I’m not sure if he’s heard the watchOS sound effects. I think they’re beautifully done. What I love & miss the most, is the original iPhone 4s lock-unlock sound effect. It felt so real than digitised or artificial or second version of anything for the feeling. It was the skeumorphism of sound. Agreed, the Breathe notification chord especially. The PowerMacintosh 6100 crash sound in the video is hilarious. And what the eff is up with that Macintosh Centris crash sound! I didn’t realise there were quite so many versions of the startup chime, and I reckon that video is missing a few too. I haven’t even heard most of those crash sounds. I thought the crash sound was more like a flat/sad startup chime. The Mac start-up sound, immensely satisfying. Can't explain why, but makes you feel VIP. Also, no other pedestrian computer got a sound like that at start-up. Apple turning it off on new machines is disgraceful. Apple don't know anymore what it meant to be Apple. So sad. Agreed. The loss of the startup chime is basically symbolic of Apple’s loss of personality as it transitioned to a soulless mega-corporation. It symbolises the transition from the personality of Steve Jobs to the personality-less Tim Cook. Sure it was a bit annoying on occasion, but they could’ve easily fixed that by letting you turn it off. A simple script that set the volume to zero on shut down achieved the same thing.